Hex N More Ruler by Jaybird Quilts. 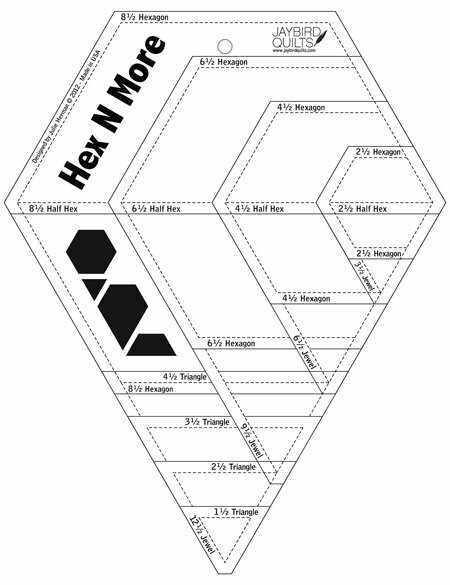 Cuts 4 shapes in 4 sizes- plus 60 degree triangles, half hexagons, and jewels. Used with the 2017 Sampler Quilt- Sweet Tooth. The Super Sidekick ruler cuts 3 shapes in 8 sizes. Diamonds, 60-degree triangles & half triangles. Used in the 2017 Sampler quilt - Sweet Tooth, by Jaybird Quilts. 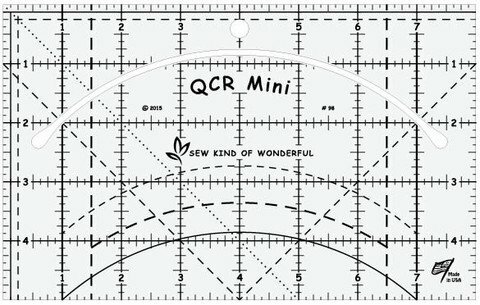 Mini version of the Quick Curve Ruler, by Sew Kind of Wonderful. 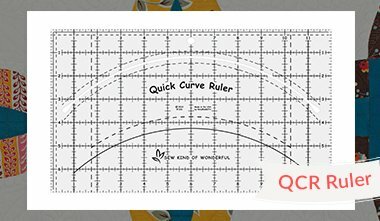 Quick Curve Ruler, by Sew Kind of Wonderful. 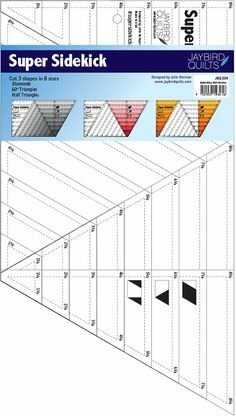 The perfect ruler for contemporary quilt designs.